Paddy’s Beach Annual Hiring Day! Paddy's Beach Annual Hiring Day! 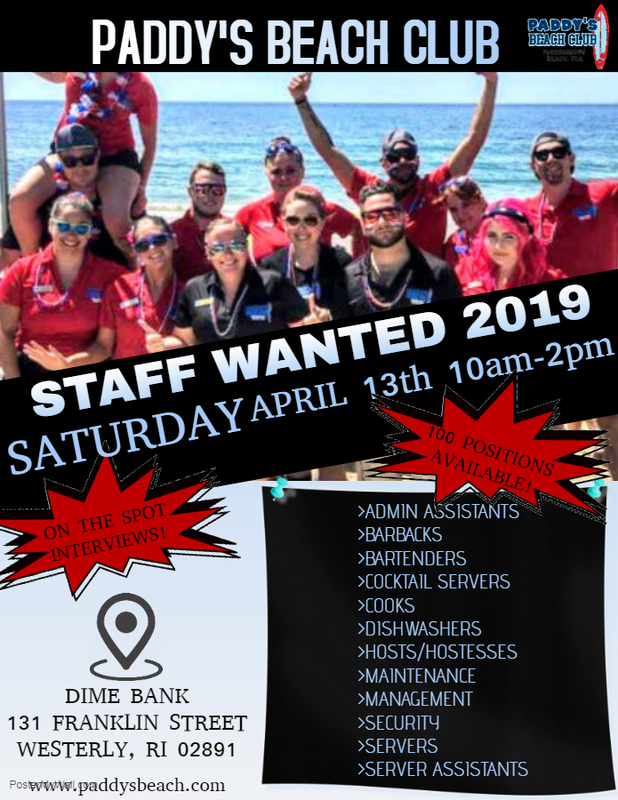 Dime Bank | 131 Franklin Street | Westerly, RI 02891 Saturday | April 13th, 2019 | 10AM- 2PM Dime Bank in Westerly will be hosting Paddy's Beach Club's Annual Hiring Day! With over 100 positions available and on the spot interviews this Hiring Day is a must! Work on the Misquamicut Beach for the 2019 summer season! We will see you there!